Do you work in your home? Do you have a spot in your house that you consider your home office, thus you keep some office items there? For sure, you want to keep things organized to make work a lot easier. But do you have that love for plants, too? If that is the case, you will surely love to have a potted plant in your work place as it will make you feel relaxed and inspired. 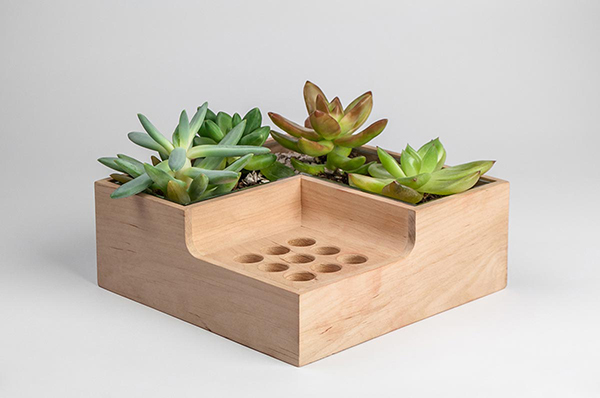 Hence, you will be delighted to know that there is one item were you can use as both a planter and a desk organizer. It is called the Eco Pot. It is a lovely square shaped accessory with two levels. The lower part has round holes where you place pens and other writing stuff. The upper level serves as a miniature garden. The design is just simple but the idea of putting two functions together is impressive. 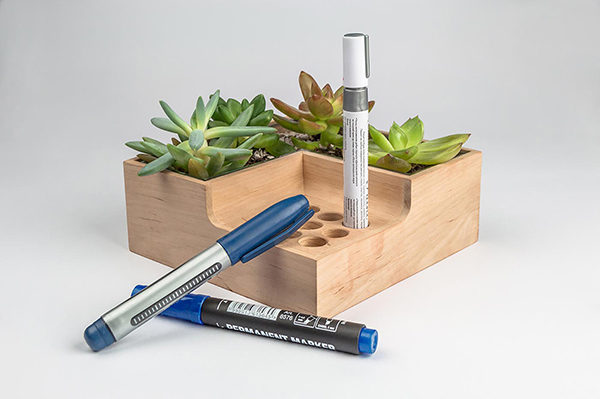 You can store your pens in the circular piercings at the lower level of the Eco Pot. 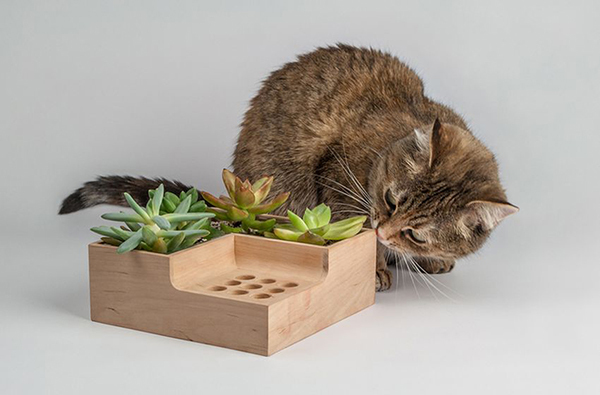 Well, it sure is an interesting item because even cats expressed interest in it. The succulents look amazing in it! 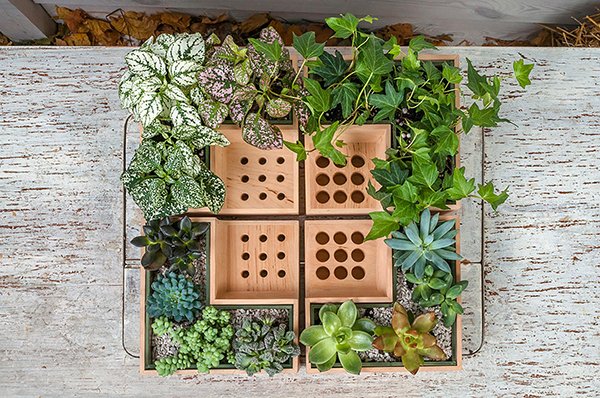 Look at how pretty they look with all the plants in it! The size of the holes vary. There are smaller ones and bigger ones. Pick the one that suits your usage. 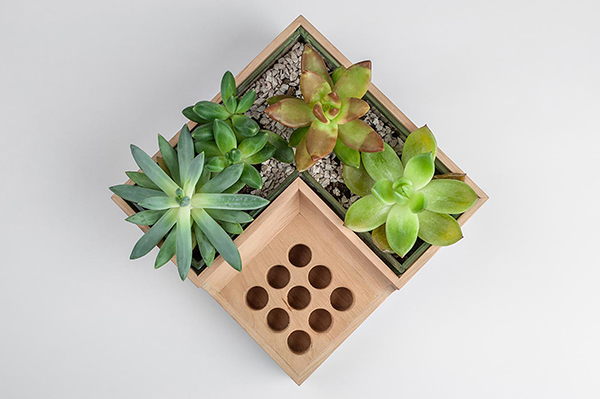 You can even use it in this manner to form a mini indoor and tabletop garden. How lovely these succulents look in the Eco Pot! It is made from wood and is obviously well-crafted. 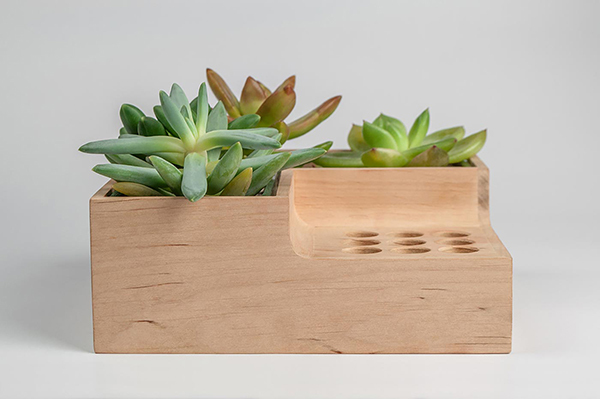 It isn’t bulky too that it won’t look large on your desk. 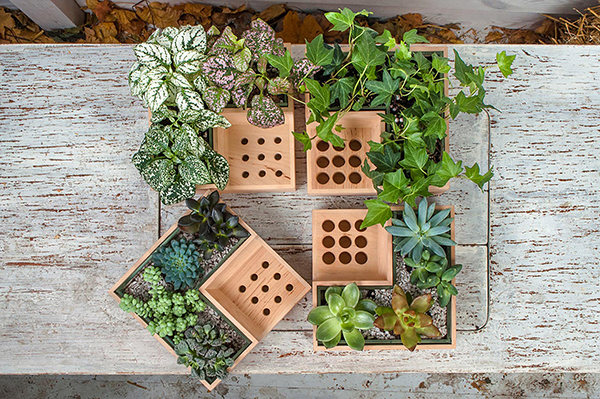 This flower pot and desk storage combination is a winner! It is designed by Ukraine-based Julia Kononenko from Kononenkoid who referred to her design in this manner: “A nice idea that allows to combine in a single object two essential functions on a desk, the practical side to store pencils and green side to soothe the soul.” I agree with what she said because this is indeed a smart merging of two functions resulting into a beautiful piece of modern accessory!